However, the key asset that distinguishes Saudi Arabia from other regional partners is its unique status in the Islamic world. Being the birthplace of Islam, Saudi Arabia possesses a legitimate influence on the war of extremist ideas. Moreover, it has an unrivaled diplomatic influence within the Islamic world. This was evident during President Trump’s very first international trip to the kingdom, where he laid the foundation for cooperation with fifty-five Muslim-majority countries. During the same visit, President Trump attended the inauguration of the Global Center for Combating Extremist Ideology, which aims to expose and refute extremist ideology. A contention-free cooperation will enable the two countries to respond to the growing challenges arising from the deteriorating security environment in the region. The Saudi efforts to combat terrorism are not limited to curbing the extremist ideologies. In 2015, Saudi Arabia formed an Islamic Military Counter Terrorism Coalition, which consists of 41 partner nations. The mission of this coalition is to combat terrorism ideologically, financially, and militarily. Moreover, the kingdom is an active member of the US-led international coalition against ISIS. This coalition has defeated ISIS territorially in Iraq. However, the US, Saudi Arabia, and their allies in the region still have a long way to go to eradicate terrorism. Central to the effectiveness of the US-Saudi revitalized partnership is the change in the kingdom itself. Since King Salman ascended to the throne in 2015, he and his Crown Prince, Mohammed bin Salman, embarked on a course of an unprecedented reforms. The Crown Prince vows to bring back moderation, eradicate extremism, and crackdown on corruption. Coming from the heart of the Islamic world, such a statement is revolutionary. Its impact goes far beyond the borders of Saudi Arabia. The Saudi message of moderation, transparency, and openness is key to countering extremism in the entire region. Although most of the publicity about his reforms is centered on his crackdown on corruption and women empowerment, Mohammed bin Salman views these developments as going back to normal. His ambition is not only to go back to normal, but, more importantly, to move forward with a vision for the future. As outlined in Vision 2030, his long-term ambition is to maintain the kingdom’s status as the heart of the Arab and Islamic worlds and transform into a global investment powerhouse, the epicenter of trade, and a gateway to the world. This vision presents a promising opportunity for not only the Saudi people, but also entire region and international partners. The coinciding of the transformations in Saudi Arabia and the entire region poses challenges as well as opportunities for the US and Saudi Arabia. 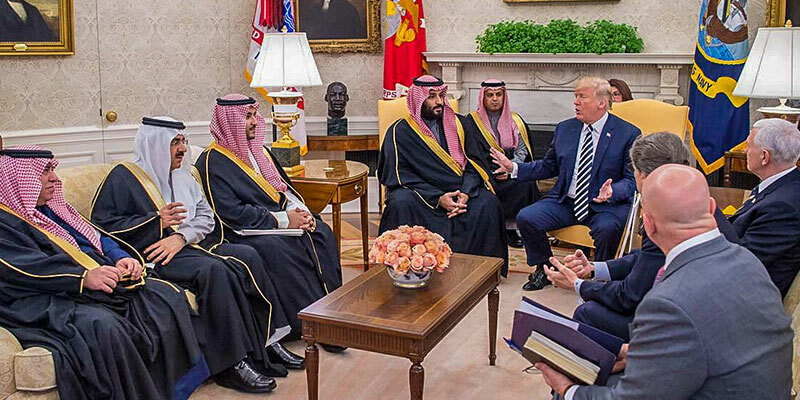 In addition to presenting investment opportunities between the two countries, the transformation in Saudi Arabia has eliminated major points of contention that affect the US-Saudi cooperation such as the lack of transparency in dealing with extremism and corruption in the past. Dr. Saad Alsubaie is a Faculty Member at the Kingdom of Saudi Arabia's Ministry of the National Guard's Command and General Staff College and a Distinguished International Security Fellow at the National Council on U.S.-Arab Relations.